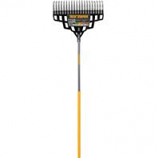 This innovative rake is ideal for people who want to rake faster. Dual tines allow for a clean sweep as they quickly rake through grass and leaves. 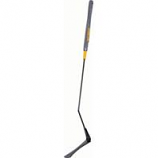 Head size is designed for jobs big and small while the handle features a comfort grip texture for better control. 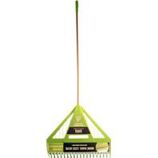 . .
For sweeping fine dirt and debris and rough debris. 24 in. broom head width with 3 in. bristles soft flagged-tip poly border bristles and coarse center bristles. 60 in. wood handle with 1-1/8 diameter and end grip. Clear coated wood block for weather resistance. Heavy duty steel brace with 7 1/2in. Long socket reinforced and screwed onto broom head. 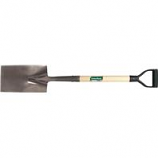 Suited for garden trench work and transplanting shrubs as well as edging garden beds. 12 inch steel head. 30 inch north american hardwood handle with poly d-grip. Forward-turned step for secure foot placement. Made in the usa. Suitable for transferring all materials such as dirt mulch or gravel.. Heavy use tool for frequent jobs. Good value to homeowners with any landscaping and gardening requirements.. . . Durable and dependable to be utilized for general lawn and garden work. 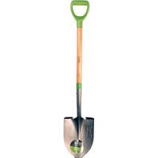 Tempered steel blade suitable for digging planting cutting sod and small roots. 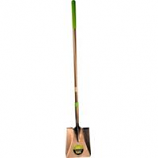 North american hardwood handle for strength and durability.. . .
Industrial grade all-steel spade made for the toughest jobs. 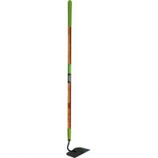 Ideal for landscaping transplanting edging and digging. 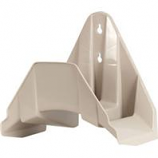 Dual rubber steps for secure footing. . . 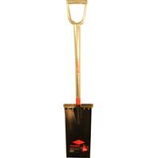 This razor-back digging shovel can be used for construction and landscaping work.. Features both the supersocket for maximum prying and leveraging and the powerstep for secure foot placement.. Forged steel blade and a fiberglass handle with end cushion grip. . . Provides extra space for foot placement to help drive the blade into the ground. long handle round point. . . . Designed to loosen and level soil.. The 16 steel tines work hard to break up hard compacted soil or mulch and spread the material evenly. 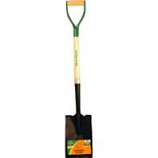 Good value to homeowners with smaller landscaping and gardening requirements.. . .
Used for tilling and aerating in hard rocky soil in landscaping and gardening. Curved tines dig deep into the soil. 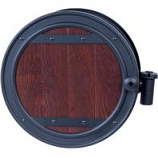 Durable north american hardwood handle. Steel blade for durability. . 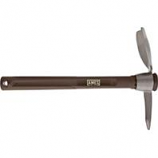 Designed for chopping and weeding in the toughest soils. 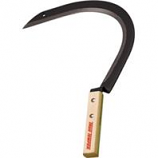 This shank pattern steel blade has ultimate strength and durability. Steel ferrule for strongest blade and handle connection. North american hardwood handle with longer reach that allows the user to reduce stress in back muscles and joints.. . 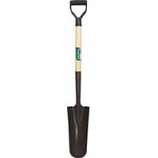 Suitable for digging and gardening particularly in hard rocky soil. Tempered steel blade for durability. Comfort step for secure foot placement. Cushion grip for added leverage and control. Made in the usa. Ideal tool to clear ditches forests and fields. Double edged serrated blade provides increased efficiency by cutting on both the forward and return strokes. Tempered steel blade stays sharp. 10-inch shank for added reach. Made in the usa. 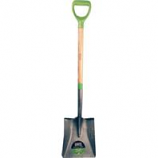 Ideal for construction and landscaping work. Features both the supersocket for maximum prying and leveraging and the powerstep for secure foot placement. Forged steel blade. North american hardwood handle for strength and durability. .
Aluminum water system. 8 times stronger than plastic. Aluminum threads will not strip. Will not freeze crack or corrode. . 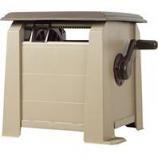 This ames hose deck box is as stylish as it is functional.. The clean contemporary design looks great on a deck and the durable all-poly construction will provide years of service. 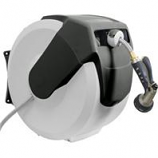 This hose reel features the ames neverleak aluminum water system which will not leak under normal use. 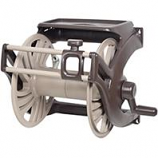 Resists cross threading stands up to cold temperatures and is 8x stronger than typical plastic water systems.. .
Ames hose reel cart featuring neverleak aluminum water system. 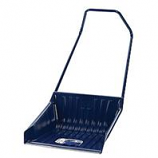 This heavy duty hose cart includes an utility tray for added convenience. Leader hose included. Large 8-inch wheels. Fully assembled. Specializes in digging and removing earth. Suited for garden trench work and transplanting shrubs. Hardwood handle and poly d-grip and open-back blade allows the user to dig effectively. . . This hose cart features the neverleak aluminum water system designed to eliminate leaking hose reels. Mobile design allows cart to easily be moved between water faucet locations and to be put away for winter storage.. . . .
Capacity ranges from 50 to 225 feet of 5/8 inch hose. Neverleak aluminum water system which resists cross threading stands up to cold temperatures and is 8 times stronger. Includes a manual hose guide to keep hands clean and accessory tray and easy-spin grip for added convenience. Fully assembled design. Made in the usa. For sweeping fine dirt and debris on smooth surfaces. 24in. 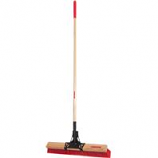 Broom head width with 3in. Flagged-tip poly bristles. 60 wood handle with 1-1/8 diameter and end grip. Clear coated wood block-for weather resistance. Heavy duty steel brace with 7 1/2 in long socket reinforced and screwed onto broom head. 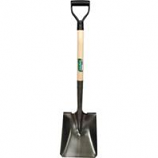 Appropriate for transferring loose soil and materials. Ergonomic d-grip that provides comfortable hand placement. 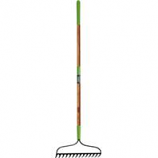 North american hardwood handle provides strength and durability to withstand years of use.. . .
Multi purpose 20 inch rake 52 inch handle. One piece tine set with ultra sturdy locking system. Great for thatch leaves rocks and mulch. . . 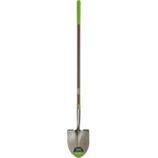 Ideal for chopping weeding and clearing garden growth. 6.25 inch wide blade for optimal weeding thicker at the center for strength at the edges for cleaner cutting. 51 inch north american hardwood handle. 10 inch cushion grip for comfort. Made in the usa. Used for cutting tall grass vines and thick brush. 16 inch blade with off-set shank for easy cutting. Double rivet head to handle connection for durability. Handheld design is lightweight and easy to store. Made in the usa. Unique design that works effectively. Durable and long lasting. Convenient and easy to use. 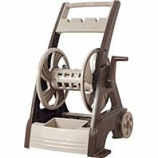 . .
Value hose hanger designed to hold up to 150ft of garden hose. Blends in with most home exteriors.. . . . Features neverleak aluminum water system. Includes 100ft of 1/2 inch hose. Swivels 180 degrees for easy use. 8 times stronger than plastic. Will not freeze crack or corrode. 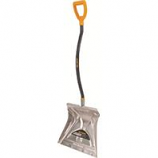 Aluminum combo blade is ideal for shoveling or pushing snow. 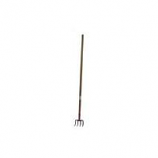 Ergonomic steel handle reduces bending and stooping. Oversized poly d-grip for gloved hand. Steel wear strip for extended blade life. Made in the usa. Never leak watering system. Mixed material design. Anodized aluminum handles. Soft touch treaded wheels. Steps for easy winding. 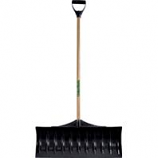 Ideal tool for large areas of snow removal. 24 inch wide large capacity blade. Steel wear strip extends blade life. 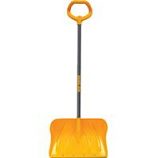 Ergonomic handle. .
Combo shovel perfect for pushing lifting and throwing snow. Steel wear strip for extended blade life. Unique versa grip makes it easy to grasp without hand fatigue or discomfort. Durable resin-coated steel handle. Made in the usa. 14.25 inch x 17.75 inch scoop blade. North American hardwood handle for strength and durability. Poly D-grip for added leverage and control. Scoop blade won't scratch surfaces. .